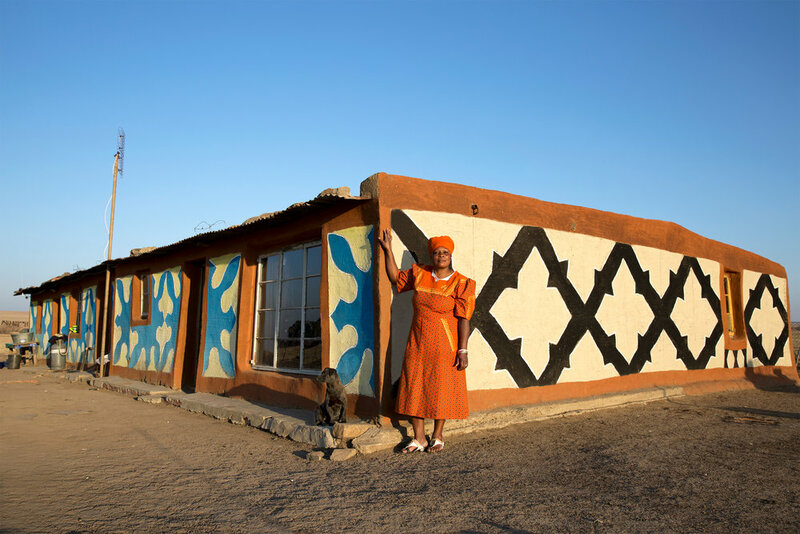 Martha in front of her mud house in 2016, Cornelia, Free State. This was the first shot I took of her before I knew her. She beams pride and is not afraid to show her home. I was humbled. Taken early morning December 2017 in a halo of morning light. Martha boils water and washes everyday before walking to work. The way she bathes is humble and silent. I know her quite well by now and she is not shy to show me how she does things, even something as private as bathing. Taken just before the first rain in 2017, Cornelia, Free State. Martha a friend of mine then dressed to fit the colours of her home, knowing it was the last memory of the pattern that she created. Martha, a very resourceful woman collects wood throughout the year. This is in her backyard, neatly packed. She chops wood everyday to make fire and prepare food. This is just a glimpse of her daily life. Taken moments after I met Martha. She offered me tea, which is a rarity when you are a white woman travelling in the rural parts of South Africa. Not so much about racism, but different cultures. She was still shy but willing to show me her home. Filled with a few collectables from grandmothers and family members. The walls painted with brave colours as vibrant as the colours of her dress. Image taken late December 2017, Cornelia Free State. 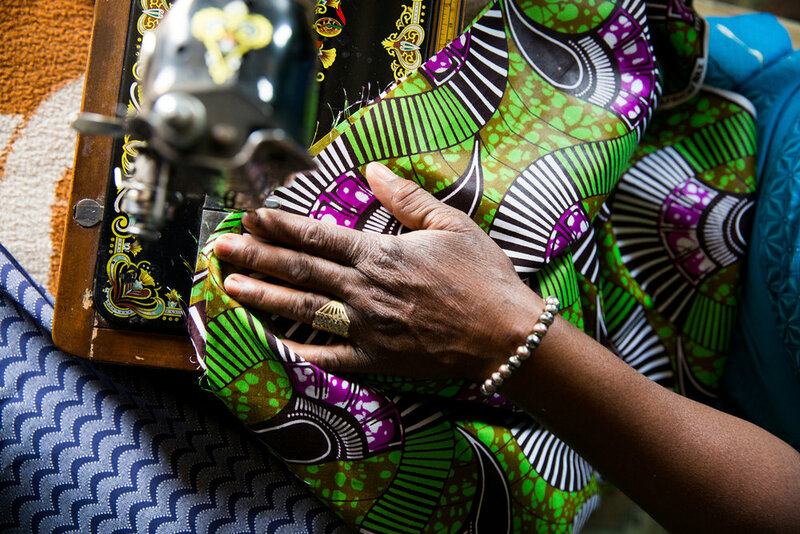 After Martha has cooked and cleaned, she starts her generator and begins sewing on her Singer sewing machine. She is now free from the outside world, free from husbands that scold, free from work that needs to be done. Martha sits in silence and solitude. As soon as the grandchildren come home from school, they need to catch a chicken for Martha so she can prepare dinner. Calmly she cuts its throat and plucks its feathers. The contrast between the tenderness of handling the cloth to the strength of slaughtering a chicken is striking. Cornelia, 2017 Free State. Martha's shoes lies cleaned in her bedroom ready for the next day. Cornelia 2017, Free State. I needed to take a closer look at Martha's hands. Although not very old yet, Martha's hands tell a story. Her hand and her jewellery tell Martha's two stories.